I had to see the “Tropical Explosion” in yellow! It’s the same style in a different color….I think I love them both! What’s your favorite color? 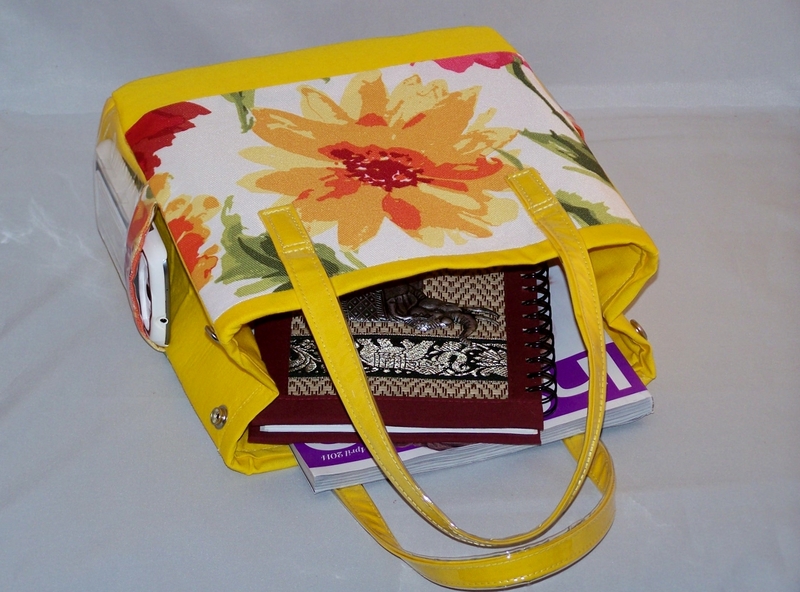 Here’s a closer look at the yellow… It converts to a mini tote bag with snaps on he side and a magnetic closure in the center. 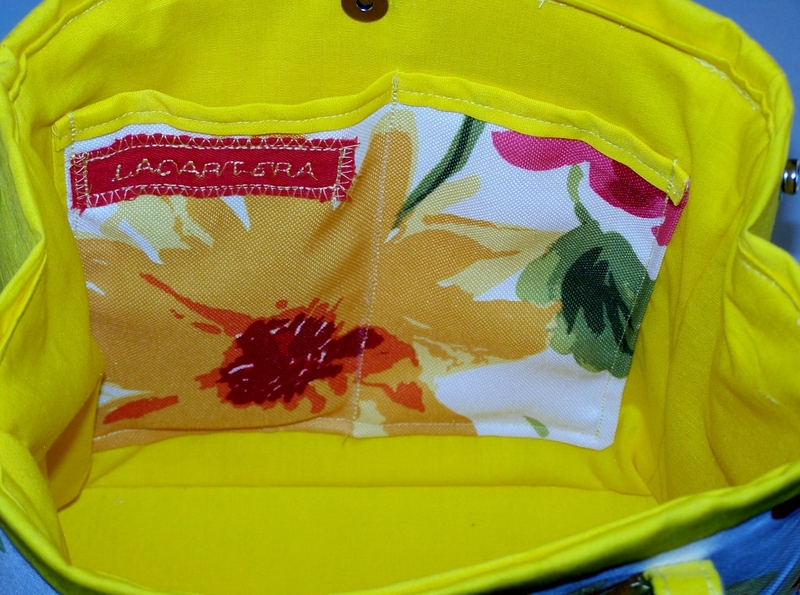 The vinyl side pockets allows see what’s in the pocket. There are two inside pockets with plenty of room to spare. 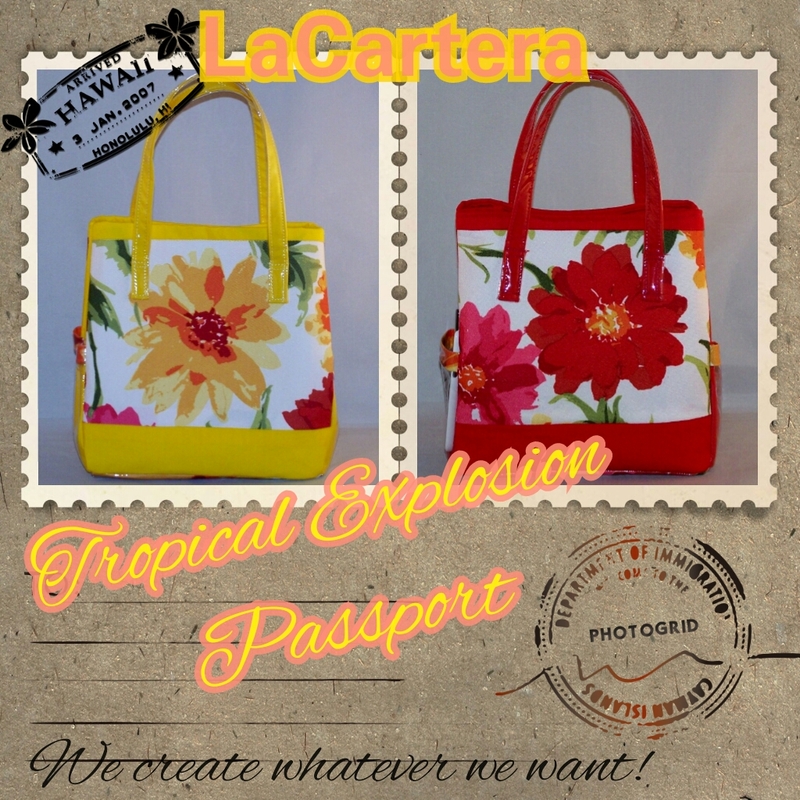 What do you think about the Tropical Explosion in Yellow? Is it a Hit or Miss? Fab or Drab? 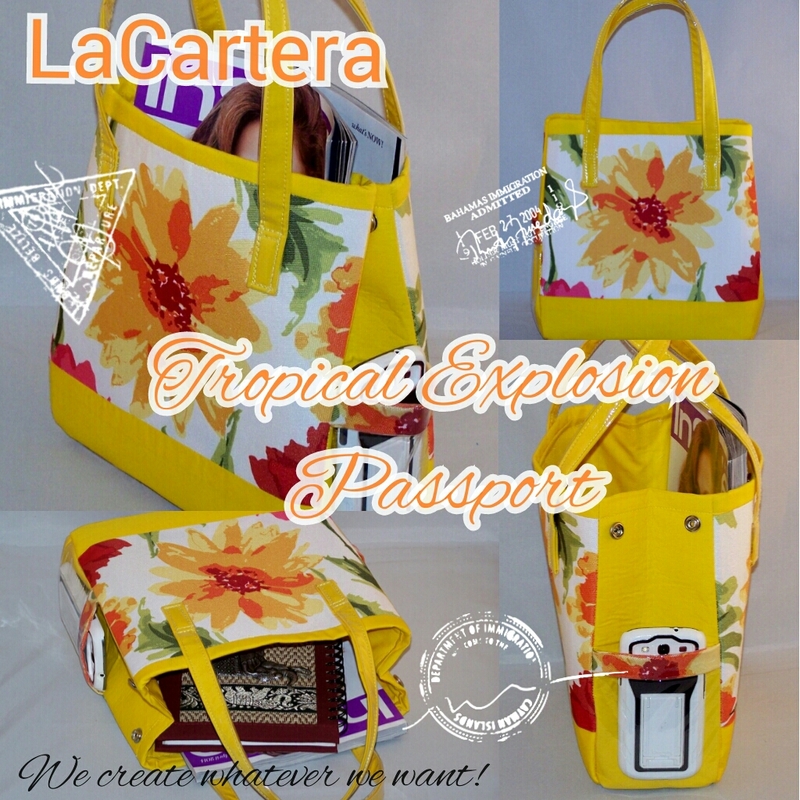 Previous Post Tropical Explosion Passport- Is it a Hit or Miss? Next Post The Color Experiment – Is it a Hit or Miss? I like both of them. Absolutely gorgeous. 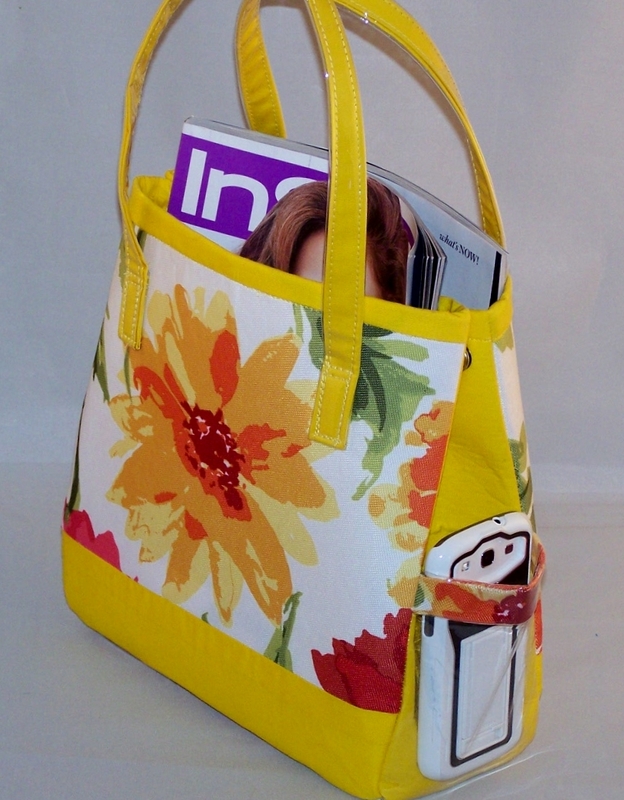 I think it is a good bag to welcome the arrival of spring. Thanks for sharing with 4 seasons blog hop. Cheers and have a nice day.